The first festival was held in 1986 in honor of celebrating Noble Township's 150th Anniversary. The celebration included a festival and a parade. After the success in '86, a group of Union Mills citizens, lead by Rock Eaton, decided to continue the festival. It was the intent of the group to use the festival as a means to salvage the Mill Pond. From this point on the festival was nicknamed "Save Our Pond". 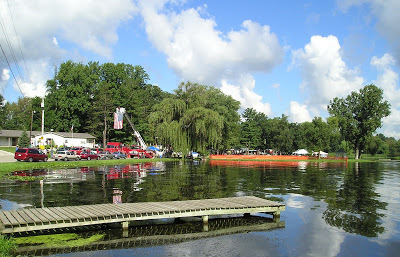 Throughout the years the festival has become known as the Mill Pond Festival, but the purpose of the festival remains the same. 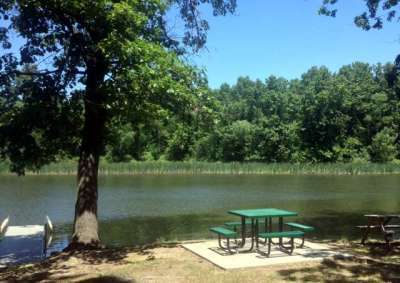 The Union Mills Conservation Club uses the Mill Pond Festival as a way to raise money to help with the upkeep of the Mill Pond and the surrounding park as well as to help with improvements to both. The park also offers many other opportunites to people of all ages. BASKETBALL- Inside the large pavilion is a basketball court that has lights. 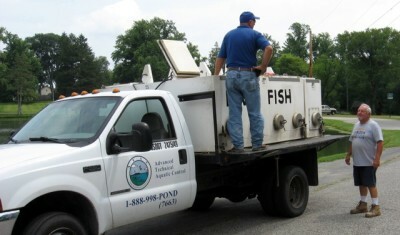 FISHING- The pond is great for fishing, and the pond is stocked with the help of money raised at the Mill Pond Festival. 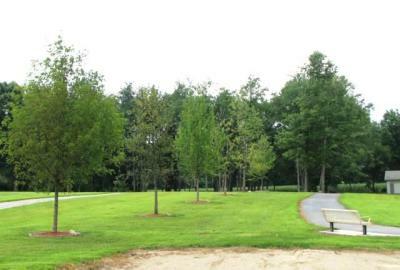 WALKING/RUNNING- The park offers a variety of paved walkways for running and walking. PLAYGROUNDS- There are 2 playgrounds on the park premesis and also a swingset located near the small pavilion. Mill Pond park is home to the Union Mills Little League and Central Girls Softball, so the park sees a tremendous amount of use during the summer months. Union Mills Little League has called Mill Pond Park home for many years and with the addition of another field in 2016 there are now 4 fields for use.